IT’S HARD to believe it’s already been ten years since we introduced you to Jed Garrett, aka Captian Babyface, and his faithful dog Click, the hell-hound, but it has. It was ten years ago today Age of Aces Books published it’s first—Captain Babyface: The Complete Adventures, gathering together all 10 of Steve Fisher’s tales of Captain Babyface and his battles against the skull-visaged Mr. Death that ran in the pages of Dare-Devil Aces in 1936. Over the past ten years we’ve published the best names in weird World War I fiction from the tattered pages of the old pulp magazines. In addition to Steve Fisher, we’ve published work from the illustrious likes of Robert J. Hogan (The Red Falcon and Smoke Wade), Donald E. Keyhoe (Captain Philip Strange, The Vanished Legion and The Jailbird Flight); C.M. Miller (Chinese Brady), Ralph Oppenheim (The Three Mosquitoes), William E. Barrett (The Iron Ace), Robert M. Burtt (Battling Grogan), O.B. Myers (The Blacksheep of Belogue), Arch Whitehouse (Coffin Kirk), Harold F. Cruickshank (Sky Devil), William Hartley (Molloy & McNamara), and Frederick C. Painton (The Squadron of the Dead). That’s quite a list and we’ve got more to come! 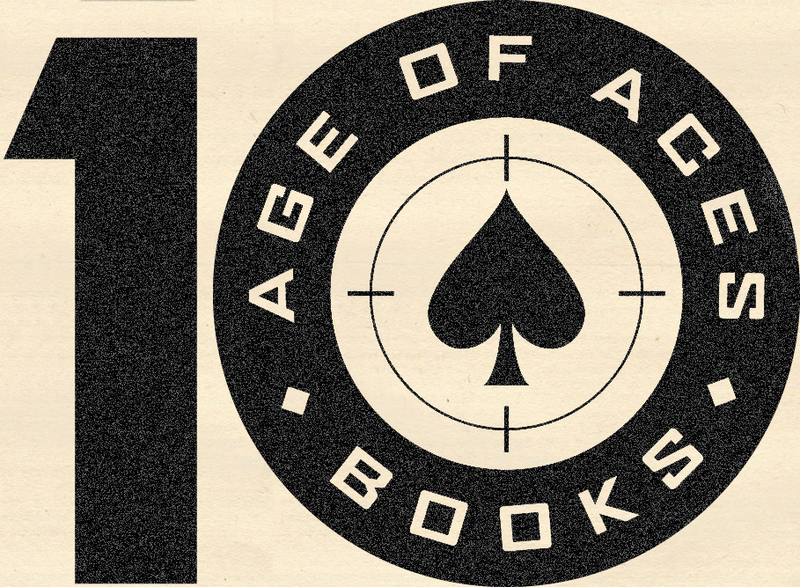 We’ve tried to make our website a place to help you Journey back to an Age of Aces by not only featuring content about our books—the authors we’ve published and artist we’ve printed, but also other aspects of the old air pulps that don’t make it into our books as well—The pulp covers and the stories behind them, the lives of the aces in pictures, and their most thrilling sky fights! And there’s free fiction Fridays when we frequently post stories that can be downloaded and read! Since it’s our tenth year we’re trying to have more frequent content up on the site and more stories—trying to increase from one or two a month to practically every Friday—and from the authors we’ve published as well as recurring website favorites—Joe Archibald’s Phineas Pinkham and Lt. Frank Johnson’s Silent Orth. So stop back often to journey back and here’s hoping for 10 more great years bringing you the best of old air pulps in a new package! IF YOU can’t make it to PulpFest in Columbus this weekend, you can still get copies of our new books online from the usual outlets. 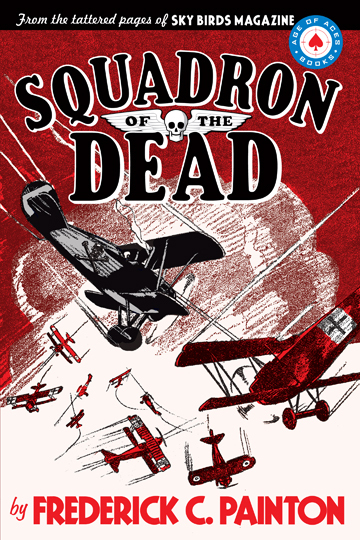 Both of our new books—Frederick C. Painton’s Squadron of the Dead and Donald E. Keyhoe’s Captain Philip Strange: Strange Spectres—are now available to order online from Adventure House, Mike Chomko Books and Amazon! While you’re waiting for the books to arrive, why not check out some of the extras we’ve put on line for each book to whet your appetite. 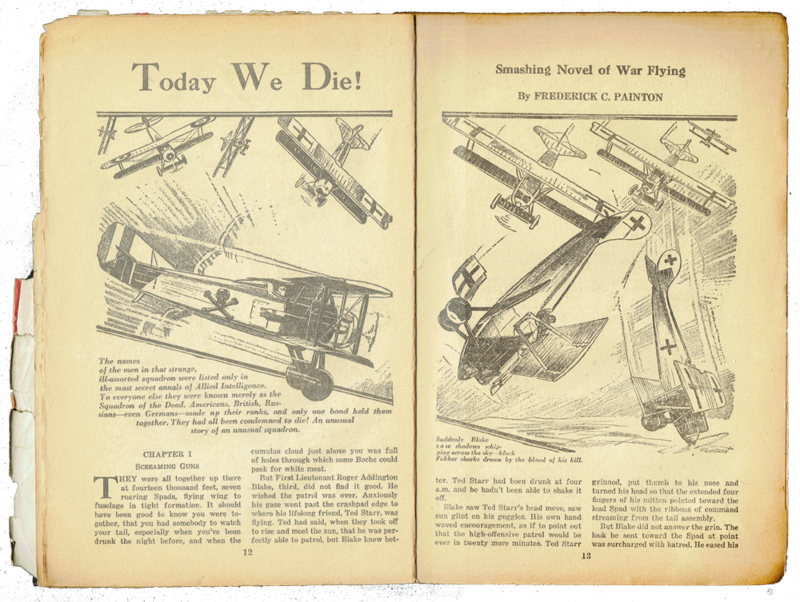 For Painton’s Squadron of the Dead we’ve posted the original pulp scans from Sky Birds magazine of the opening page art so you can see how it would have looked if you were reading the stories back in 1935 when they were originally published. You can also read the opening of the stories in the scans. Orignally we had posted a few of the Squadron of the Dead stories on our site—we had enjoyed them so much that we we had found all eight stories we decided to collect them into a book. The first one is still available here if you want to sample the book. 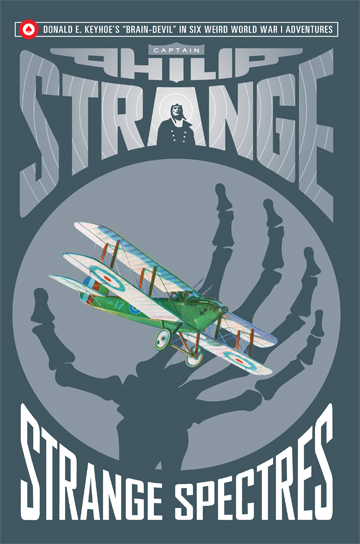 For the latest release of the weird World War I adventures of Donald E. Keyhoe’s Captain Philip Strange we have the original full page scans of the opening artwork for each of the six stories collected in Strange Spectres! For the last few volumes we’ve only been posting cropped artwork, this is the first time we’re posting the full page scan so you can read a bit of story and enjoy Eugene M. Frandzen’s art in all its glory from the pages of Flying Aces magazine. Painton’s Squadron also uses Frandzen’s art, but here in the bedsheet sized issues of Flying Aces you get those glorious painted images Frandzen would do—much better than his line art. And the piece de resistance of any Strange book—Chris’ great cutout artwork he does for each of the stories! There are only six this time—but they’re all winners. 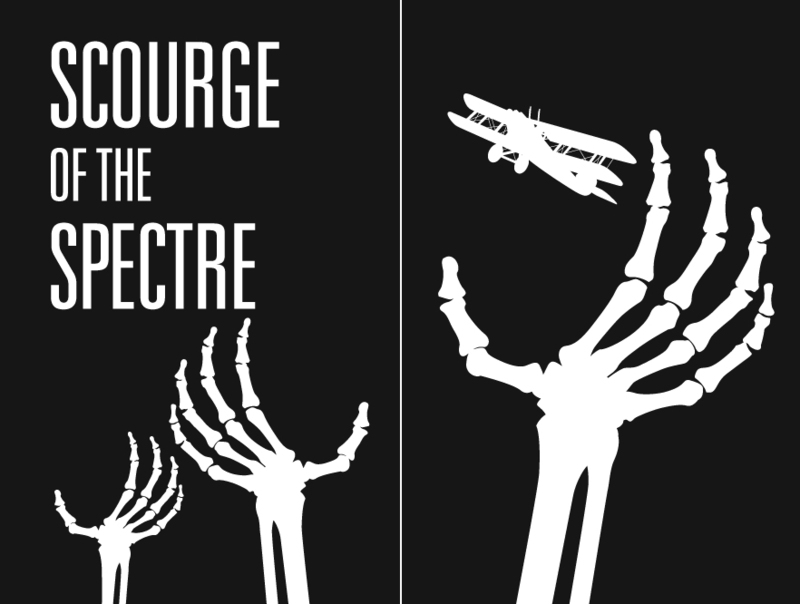 You can check them out on the Strange Spectres Design page! Both books are available for $16.99 wherever our books are sold, so pick up both today! You can order online from Adventure House, Mike Chomko Books and Amazon! The names of the men in that strange, ill-assorted squadron were listed only in the most secret annals of Allied Intelligence. To everyone else they were known merely as the Squadron of the Dead. Americans, British, Russians—even Germans—made up their ranks, and only one bond held them together. They had all been condemned to die! An unusual story of an unusual squadron.